The Randy Roberts Show is an all live, multi-media tribute to some of the world’s most loved performers. 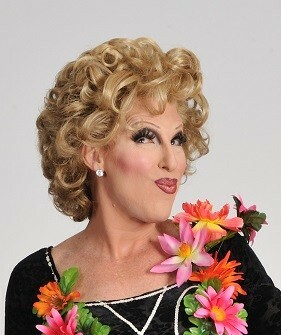 Randy’s uncanny impersonations of Cher and Bette Midler have kept him in the spotlight for the past twenty years. His roster of famous and infamous ladies also includes: Mae West (a perennial favorite), Joan Crawford, Carol Channing, Ann Miller, Phyllis Diller(an act which landed him on “The Jenny Jones Show” with the real Phyllis Diller), and a bevy of original ladies, including a tribute to Gypsy Rose Lee with a strip tease that leaves little to the imagination and the audience rolling in the aisles, and audience favorite: Consuela – The Latin Showgirl! He closes every show with a mini-lounge act, allowing him the chance to get up close and personal with his audience. The fact that he is bilingual makes him a favorite in clubs in Puerto Rico and Spain. Randy’s talents aren’t reserved for the stage. He is an accomplished lyricist, an adept sound technician, a talented writer, and a successful producer. The Randy Roberts Show is an all live tribute to some of the world’s most loved performers. 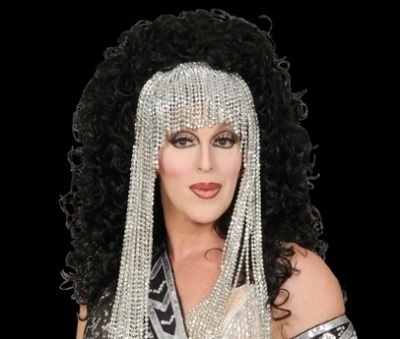 Randy’s uncanny impersonations of Cher and Bette Midler have kept him in the spotlight for over 20 years.